When do you take your child to the dentist for the first time? Many parents assume regular dental visits should start around kindergarten age. But is is actually recommended that your child first see a dentist at the age of one. 1. Parents can be educated early about what to expect and how to care for their child’s teeth. What should you expect for this exciting first-time visit? At Warner Pediatric Dental, you and your child will be greeted by our friendly, kid-loving staff; we are especially excited to see little babies! We spend the first part of the visit discussing any questions or concerns you may have about your child’s oral health. We’ll also give you some tips about how to care for those brand new baby teeth! We can talk to you about pacifier use, thumb sucking, use of bottles or sippy cups, and what types of foods are good and bad for teeth. We will demonstrate some effective and extremely helpful methods for brushing an uncooperative child’s teeth. 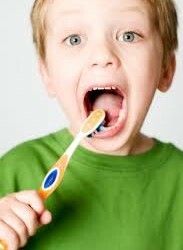 (Most children are uncooperative when it comes to having their teeth brushed!) Once you’ve had all your questions answered, we will do an exam and cleaning for your child. Exams are usually done one of two ways. If your child is cooperative, we will simply have her lay on the dental chair while we clean her teeth, and check for cavities or abnormalities like missing teeth. Then we place a small amount of fluoride varnish on to help strengthen the teeth. If your child is too scared to lay down in the chair, we do what is referred to as a lap to lap exam. 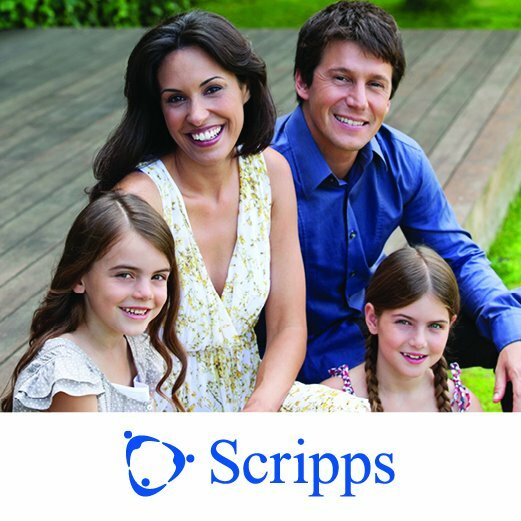 Your child sits on your lap, then we lean her back onto the Doctors lap and do the same procedure. Many children feel anxious or cry during this first exam. We’ve found it helps to show them the tools we’re using first, and then use a little distraction by talking about favorite toys and movies. And Dr. Warner almost always ends up singing a little song to entertain them. Our goal at Warner Pediatric Dental is three-fold: prevent dental disease, educate parents, and teach children to look forward to visiting the dentist. They will visit the dentist many times in their lives and we want it to be a positive experience every time! We look forward to seeing you and partnering with you to keep your child’s teeth happy and healthy for a life time. Warner Pediatric, 1443 Encinitas Blvd. 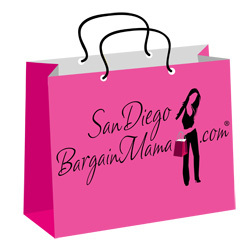 Encinitas, CA 92024, 760-942-1570.